This beautiful basil polenta is a wonderful treat to serve as a starter to any main course. There are two steps to this recipe, so be sure to allow for chilling time of the polenta when preparing. 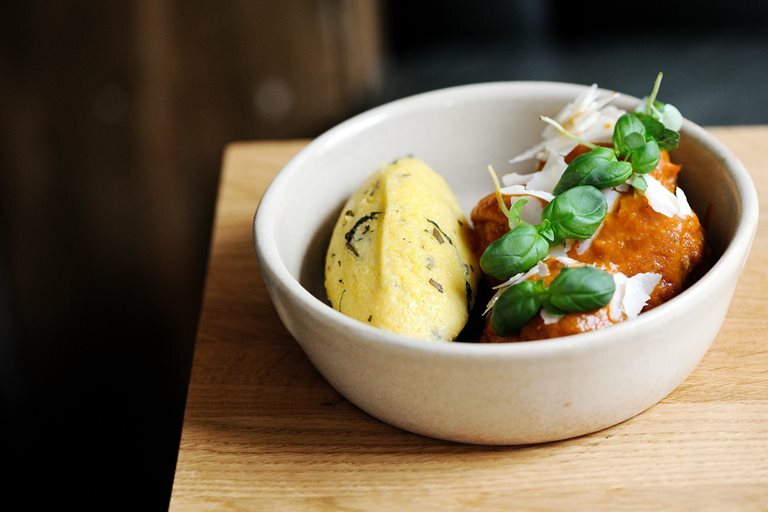 Tom Aiken's polenta recipe can be made with vegetable stock and you can substitute the Parmesan with a vegetarian cheese if you wish to adapt the dish for vegetarians.